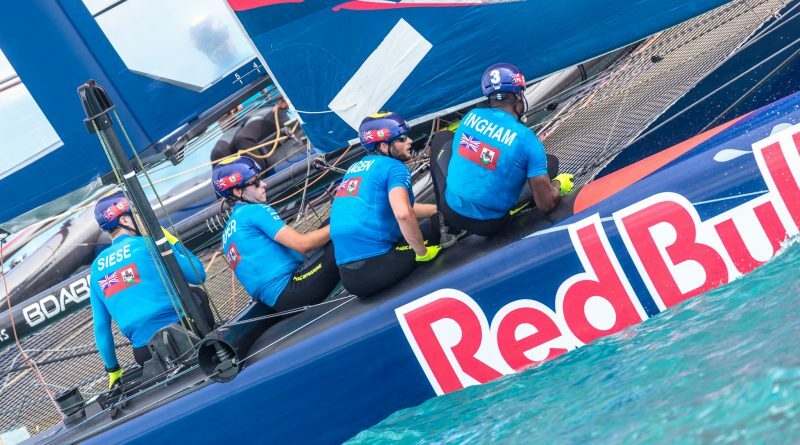 Light winds again greeted the six international Red Bull Youth America’s Cup Pool B teams who returned to day two of Qualifiers fleet racing action on 13th June on Bermuda’s Great Sound. However, the wind speed did not stop the day producing huge tension, real drama and a fantastic story for Bermuda, home of the 35th America’s Cup with TeamBDA, the local favourites, booking their place in the Finals of the 2017 Red Bull Youth America’s Cup by securing the points they needed to progress in the second race of the day. 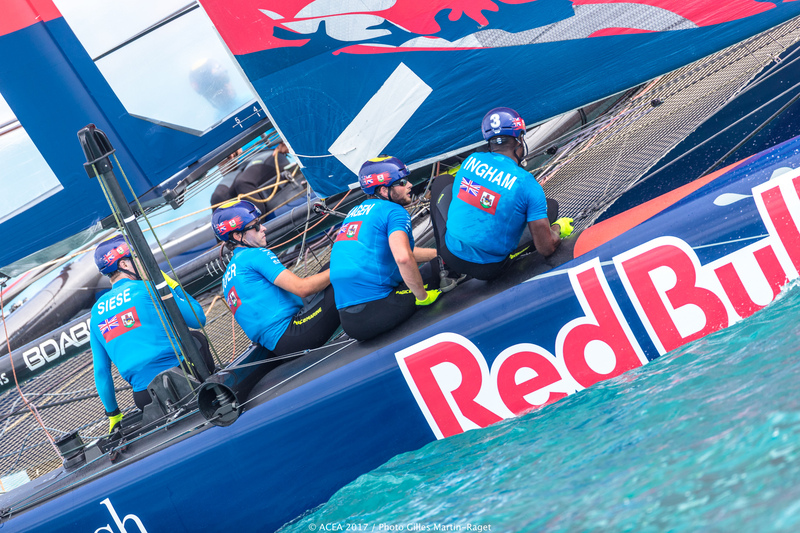 TeamBDA’s progression also means that, at the end of day two, the 2017 Red Bull Youth America’s Cup says goodbye to the Austrian Candidate Sailing Team and Carson Crain’s Next Generation USA. 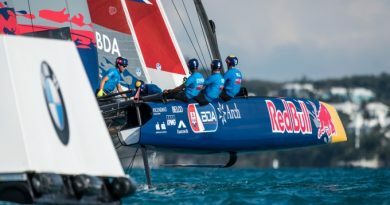 In contrast, the TeamBDA story is remarkable, especially in the context of the Red Bull Youth America’s Cup which is the platform for the next generation of sailing superstars to test their mettle on the same waters as the America’s Cup teams. Just over one and a half years before the start of the 2017 Red Bull Youth America’s Cup, many of the Bermudian team had not sailed before, so to book their place in the 2017 Red Bull Youth America’s Cup Finals, on their own home waters, is a truly special story. On the water, in action on day two of the Qualifiers with TeamBDA was Land Rover BAR Academy (GBR), Spanish Impulse by IBEROSTAR (ESP), Candidate Sailing Team (AUT), Next Generation USA and NZL Sailing Team. The teams, all aged between 18 – 24 years, were racing on the final day of the Pool B 2017 Red Bull Youth America’s Cup Qualifiers, the precursor to the Finals which take place on the Great Sound on 20th / 21st June. 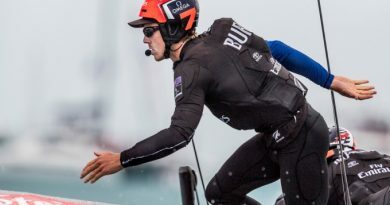 Having endured a mixed first day’s racing, reigning champions NZL Sailing Team made the perfect start on day two, taking victory in the first race, narrowly ahead of local heroes TeamBDA. Behind them Spanish Impulse by IBEROSTAR finished third, ahead of Austria’s Candidate Sailing Team, with Land Rover BAR Academy in fifth and Next Generation USA in sixth. Race two was about to start, but then a windshift on the racecourse lead to America’s Cup Race Management (ACRM) abandoning the race shortly before it started so they could change the course to fit the new wind direction. Soon, the second race of the day was back on and in what proved the closest-fought race yet involving all six teams, Jordi Xammar’s Spanish Impulse by IBEROSTAR crossed the finish line first, narrowly ahead of Land Rover BAR Academy and the much-improved Candidate Sailing Team. 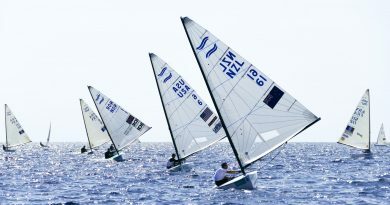 Behind the top three, Logan Dunning Beck’s NZL Sailing settled for fourth, with Next Generation USA fifth and TeamBDA in sixth. In the final race of the Pool B Qualifiers it was NZL Sailing team who took the honours in first, followed by Land Rover BAR Academy in second. Behind them, Spanish Impulse by IBEROSTAR stole third place on the line from Team BDA, making the whole of Bermuda smile with fourth place, sealing their spot in the Finals. Next Generation USA had to settle for fifth while bringing up the rear were Candidate Sailing Team whose 2017 Red Bull Youth America’s Cup adventure ended with sixth place.